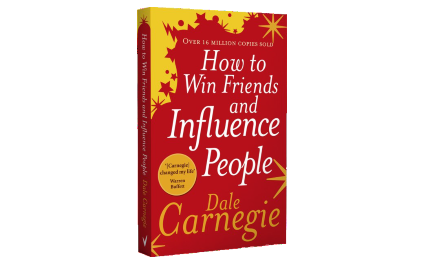 Ask 50 businesspeople to name a few books that have changed their lives, and dozens of them will have Dale Carnegie’s How To Win Friends And Influence People on their lists. Despite being written over 80 years ago, the seminal classic is one of the bestselling books of all time. At the time of writing, it’s even No. 9 on Amazon’s Most Read list. Those who haven’t been enlightened to Carnegie’s approach to life may wonder what’s so special about this modest volume. But of course, it’s the principles within that resonate with so many people. If you want to learn how to be authentic, kind and honest, and gain the admiration and trust of your colleagues, friends and prospects, this is an excellent place to start.